Gold coin chicken (金錢雞) - well, 12 divided by 4 means... that each of us will take down 3 of these "cholesterol sandwiches"! 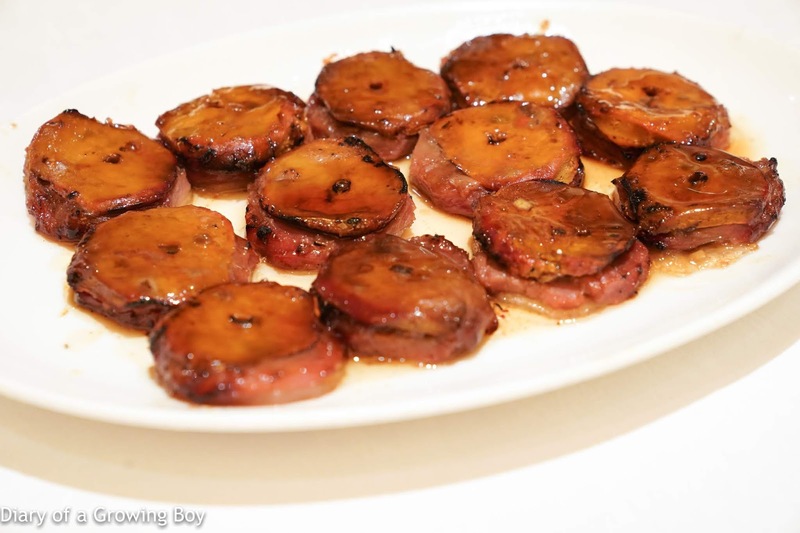 The stacks of round medallions include chicken liver, char siu, and cured pork fat (冰肉). 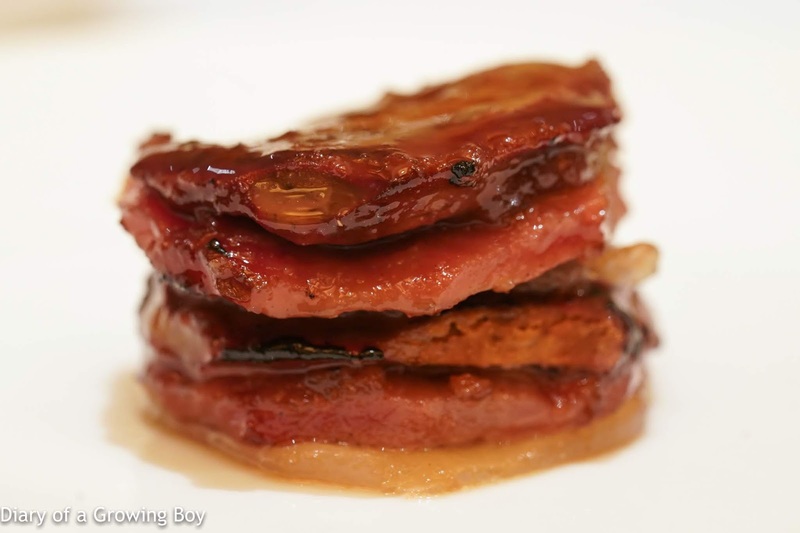 Surprisingly, there were also small bits of pickled ginger hidden between the layers. These were just as satisfying as they've always been, and The Man in White T-shirt decided to stack two of these together so that they would be the same height as the ones from Manor Seafood (富瑤海鮮酒家) - which is still my favorite version of the dish. 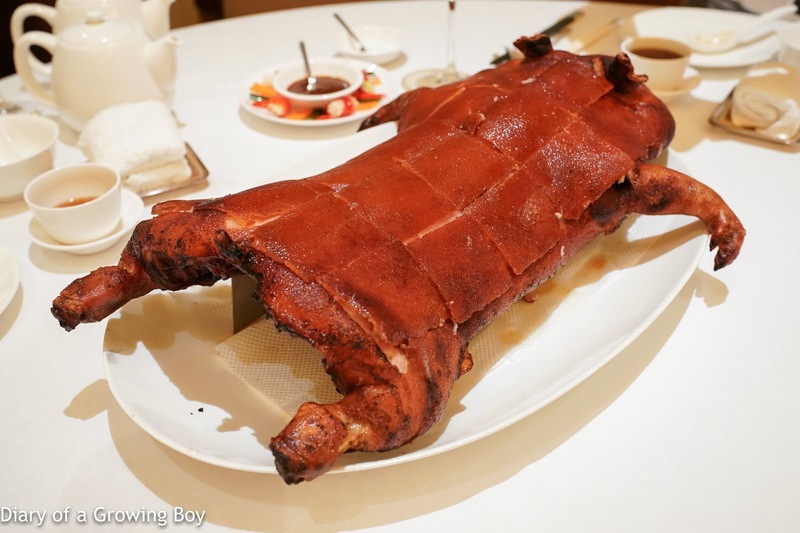 Barbecued whole suckling pig (大紅片皮乳豬全體) - well... there were only 4 of us to take down this pig, so we focused on efforts on this. I just couldn't believe that we really tried to do this with just the 4 of us... Of course, the crackling was as good as ever, and we made sure that our visitors each got to chomp on a leg. 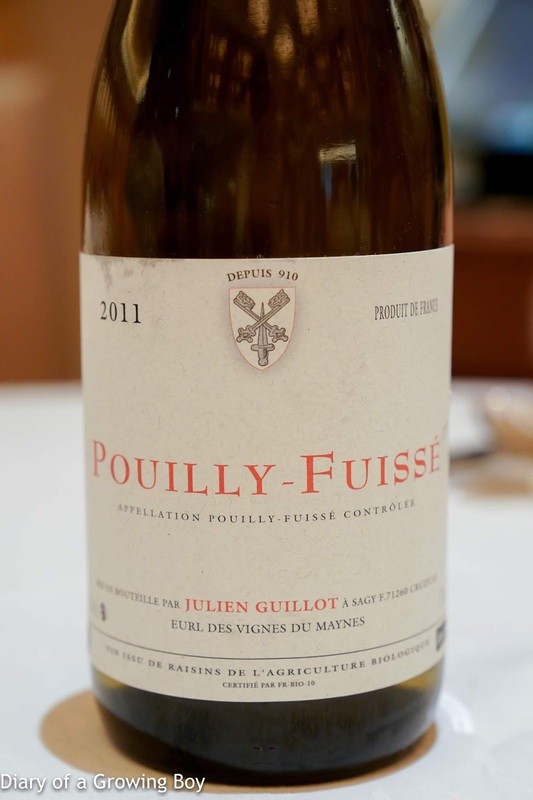 2011 Domaine des Vignes du Maynes Pouilly-Fuissé - ripe and mature. Definitely showing marmalade on the palate.